Well it's almost a month since I've been back from my home away from home in Italy, and I'm suffering major summer blues. It's official - all of my summer travelling plans are now complete, autumn has set in and the thought of starting back at uni is well and truly at the forefront of my mind. 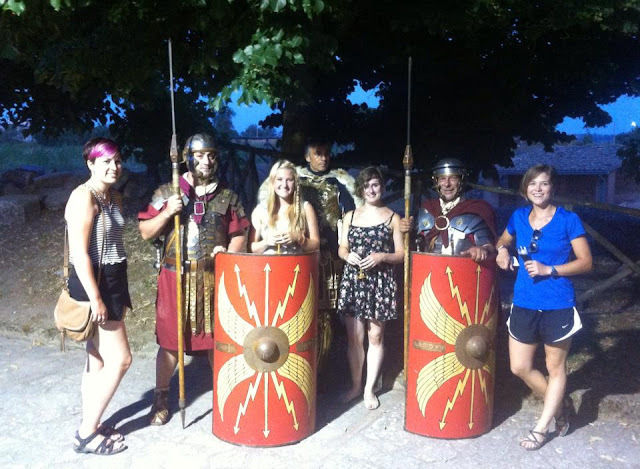 If you know me - or have followed my geeky twitter posts or all the snaps that I uploaded to instagram this summer - then you'll know that I spent two months of my summer in Italy taking part of in The Apolline Project. Aside from the travel posts that are coming in due course, and will show off all the amazing places I visited, as well as some of the tips I've picked up along the way, I wanted to write a post all about my wee love of archaeology and the site I dug at this summer. Archaeology has always been the thing for me - back in primary school I decided it was to be, and for the last thirteen years I've been pursuing ways into the profession. This summer I was lucky enough to go back to The Apolline Project as a trench supervisor, meaning I got to run my own trench, be in charge of the paperwork and boss people about (okay in my own quiet, friendly way). One of the biggest challenges for me was finding my own voice. At times I can come across as a bubbly & confident person, but truth be told I'm actually a very shy and self conscious kind of gal. It's different hiding behind the computer and sharing everything about my life. In the real world its a whole different story. Anyone else manage to perfect the hiding behind people during class and not make eye contact with the teacher just to avoid answering a question (and the ever present problem of going extremely red?). I'm sure everyone from my school will remember my wee red face. . . On the dig I quickly became comfortable. 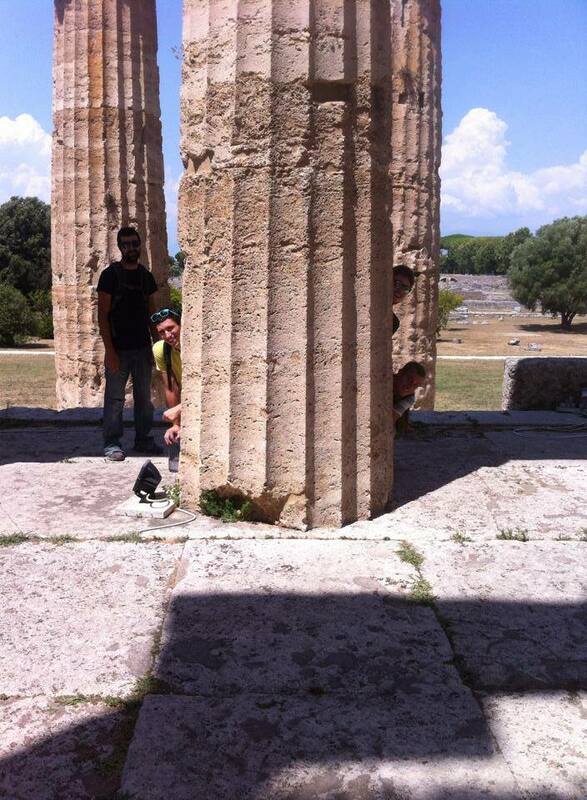 I think it was partly due to the fact I love archaeology and thought I knew what I was doing (most of the time) as well as the people - which I'll be coming back to - that made me feel so much more at ease. Although I didn't have the loudest voice, I slowly began to get more and more of a voice. I got to take charge of the tool shed each morning and called out 'Tool Time' at 8.30 each day. I even learnt some Italian so that I could ask for the keys each day - it may not have been perfect, and the guys in the office may have laughed each time I stumbled through posso avere le chiavi but I enjoyed that bit of responsibility. The site itself was incredible. This is the first year that The Apolline Project has worked at Aeclanum, and despite excavations occurring in the past by others, lets just say they weren't up to standards. So the potential of this site is incredible - there's so much to discover and learn about this site and this could change the history of the area. There's a whole settlement to be unearthed - with developments through Late Antiquity and the Medieval period, so nothing can be predicted. 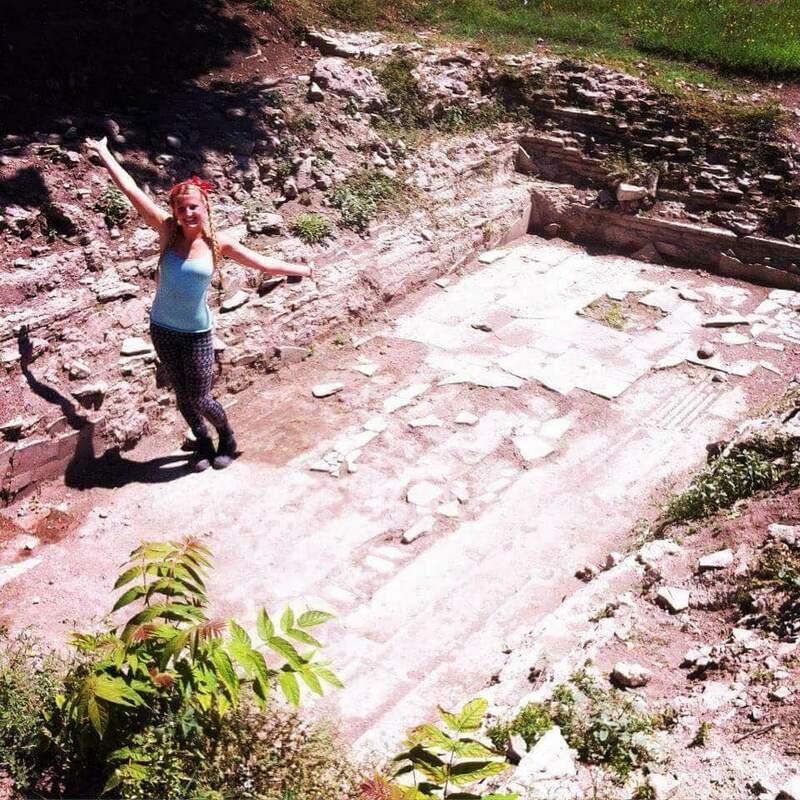 I spent my two months excavating a pool in the bath complex, and to say I was happy is an understatement. The pool was lined with marble, although some had been spoliated in later times it was still impressive nonetheless. Unfortunately, we found out during my last week that the pool had already been dug in the 1958 excavation (see the issue of not completing paper work) which explained our problem of not finding the continuation of the pool walls. However, what we did find was pretty awesome, and I'm so chuffed that I can point to the pool and say that I dug it. I had incredible teams throughout my whole time with the project, and they all made it so much easier to take on my role as supervisor and really helped to settle my nerves - you know those pre-event jitters and butterflies? Well lets just say mine were worse. I was nervous that people wouldn't respect me or take me seriously - I was younger than the majority of participants, and am still completing my undergrad. As I was reassured, if you know your stuff then it shouldn't be a problem, and I hope that I seemed confident telling everyone what to do. It's funny how quickly you can get comfortable in a role, but I found myself loving giving the orders of how many people to do what, or how we should continue. I don't even have the words to communicate my love for the people on the dig and as corny as it sounds I feel like I have made life long friends. Everyone is always so supportive of each other, and that's what I truly love. Some of the friends I made last year were here once again, and getting to see them and catch up was so amazing. And those who I didn't already know were easy to bond with and it was like we had always known each other. Its so different having friends who you work and live with. For a start, we're all there for the same reason so chat can become a little bit geeky and much of our spare time is spent exploring other historical sites together. And when we're back at the house (which was a school for our time there) we do what archaeologists do best - drink. Believe me, drinking and playing games is the way to truly get to know someone, and I can now say I know a lot about some people. It's incredible to say that I have friends in America, Denmark, Italy etc.. and even closer to home in England, Ireland and some fellow Scots - it makes future travelling so much more exciting. And if any of those friends are reading this - well you know who you are and I hope you're blushing at all this flattery as much as I'm cringing while writing it. SO, to summarise this rather long post (and I congratulate those of you who have stuck with me . . . I feel I should do a Louise Pentland type of thing and give you 10 glitter points, although it wouldn't be glitter points from me would it? . . . ) : If archaeology is your thing then go for it - get involved in digs and try your hand at it. Getting practical experience is so important and is also so much fun to be involved in. You learn so much more outside of the classroom and getting hands on experience in the field. I wrote a bit about how important it is for your CV too in a previous post that you can check out here). And if you're interested in Roman archaeology then this project is definitely one to get involved in - and this post will hopefully show how great this project is. 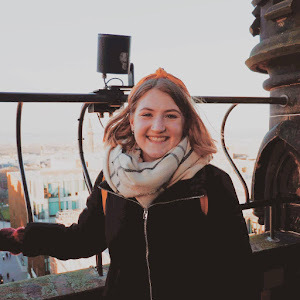 Or if you're one of my many readers who follows my posts for lifestyle - well I hope this post shows a little more about my own experiences as an archaeology student ( when should I start calling myself an actual archaeologist? ) as well as showing that taking on a role of responsibility is maybe a little scary at first but is totally worth it. I can't wait to share some of my travel posts and show off the Campania region of Italy -its SO beautiful. If you're wanting a sneak peak then have a look at my instagram and see all of the photos that I shared while away. ALSO: I posted a week by week account of my time with the project last summer which you can check out here!